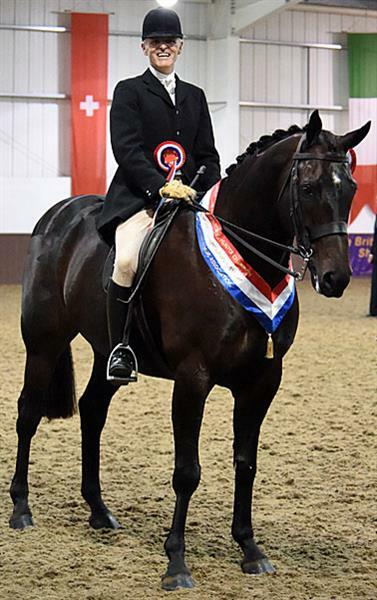 This Association is dedicated to promoting the breeding and showing of Hacks, Cobs, Maxi Cobs and Riding Horses. 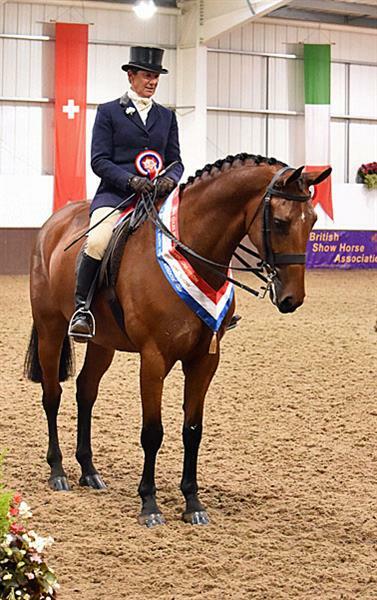 The BSHA encourages participation; for young riders there is a “Rising Stars” final at the BSHA National Championships Show, all Affiliated Open Classes award a Young Rider special rosette throughout the year, in addition to the Amateur Rider and Novice awards. The Association is very active and runs a series of Shows including the very popular BSHA National Championships, Member’s Lunches, Judges' Conference, Conformation Training Workshops and Probationary Judges scheme. 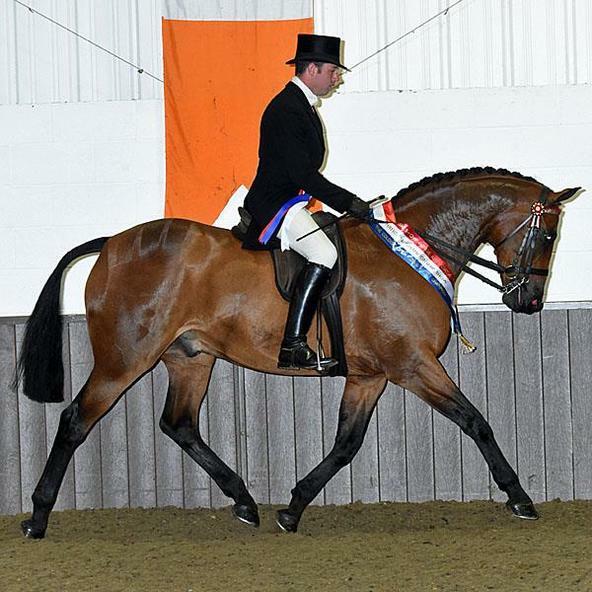 The Schedule includes a full range of HOYS Hunter qualifiers plus Novice, Amateur & Restricted Working Hunter classes and Ridden Amateur classes for Lightweight, Middleweight & Heavyweight Hunters. 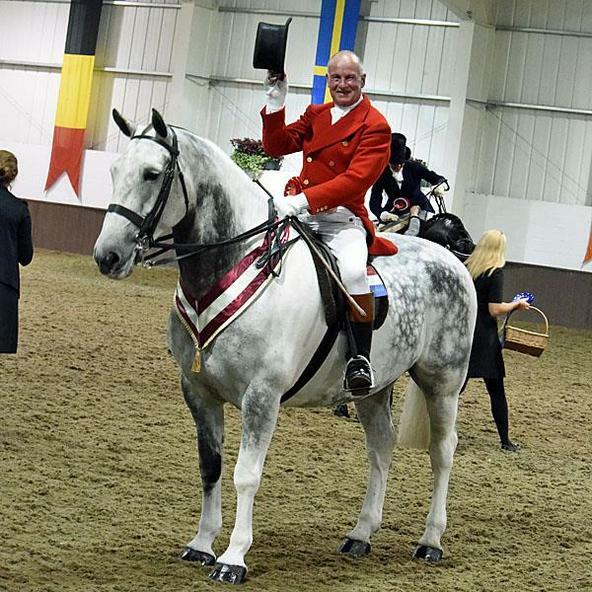 The Show includes an Evening Performance with the "Final Nine" from each HOYS qualifying classes, the three Ridden Amateur & the 4yr old and two Novice classes; Amateur Championship, Working Hunter Championship, Hunter Championship and Supreme Hunter Championship. "Golden Opportunity" qualification down the line to the highest placed unqualified horse. A copy of the Timetable, Schedule, Entry Form and Stable Booking Form are available to download by clicking on the links in the download section below. A limited number of Classes and Championships are available to sponsor at the BSHA Hunter Championship Show 2018. For a full list of available classes please see the link below in the downloads section. Anyone wishing to sponsor at the Championships, please contact the office either by email admin@ britishshowhorse.org or telephone on 01462 437 770 (10:00am - 04:00pm). Classes will be allocated on a first come, first served basis. Alternatively, please ring Sue Phillips on 02392 461 167. Thank you for your support. The BSHA National Championship Timetable, Schedule, Entry Form and Stable Booking Form are all available to download by clicking on the links in the download section below. A limited number of Classes and Championships are available to sponsor at the BSHA National Championship Show 2018. Notice to all Competitors attending the Championships at Addington Manor EC in Buckinghamshire. Stabling at Addington Manor EC will be charged £60 for one night; £80 for two nights, £100 for three nights or £120 for four nights. Electric hook-up will be charged at £20 for one night, £40 for two nights and £50 for the duration. All Stabling and Arena Hire to be booked direct with Addington Manor EC, do not send your Stable Booking Form to the BSHA Office with your entries. The Stable Booking Form is available above in the downloads section. Applications For Stable Bookings Close on Wednesday 29th August 2018. 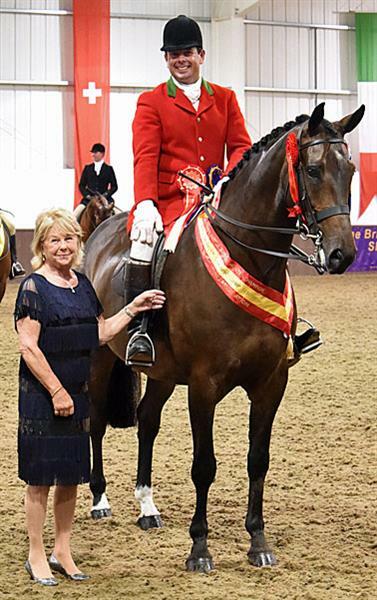 Points will be awarded to Professional Riders across all classes at both Shows, with the winner of the headStart media Professional Rider Award receiving £100 prize money along with a trophy, sash and rosette. 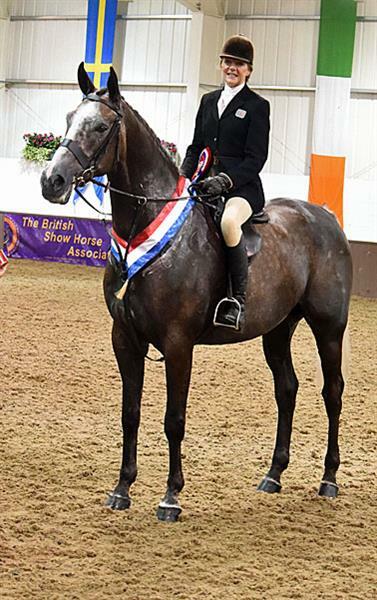 The runner up will be awarded a rosette and £50 prize money; both prizes will be presented at the BSHA AGM on Sunday 4th November 2018. 5 points will be award for first place down to 1 point for 5th place; any Professional Rider wishing to enter the headStart media Professional Rider Award, must complete a "log-in card" at the Show Office. The BSHA is grateful to headStart media for sponsoring this initiative. Riders & Horses DO NOT have to be members of the BSHA to enter the Grass Roots Championships. Riders MUST not have competed at HOYS within the last 5 years with the exception of Search for a Star. Open to horse & rider combination not to have won a total of £200 in showing classes. Horses MUST be stabled at home, DIY or in a non showing yard. Horses to be ridden by an Amateur as per the BSHA definition. Riders will receive feedback from the judges. No professional producers are allowed into the Ring. Special Awards: TSR Sashes to the highest placed TSR Member. Special rosettes to the highest placed BRC Member. Please see Class 45 - BSHA Grass Roots Championship in the BSHA National Championship schedule 2018. Exhibitors competing in Class 45 and who are not Members of the BSHA, can compete in other classes i.e. Amateur Home Produced, Restricted etc. on the purchase of a BSHA Day Ticket. You do not require a Day Ticket if only competing in Class 45 The BSHA Grass Roots Championship. Nupafeed Supplements will give a Nupafeed Numnah to the Amateur Rider who gains the most points at the BSHA National Championship Show 2018. Entries must be made on a separate Amateur Points Form, available from the Show Office or download using the link below. 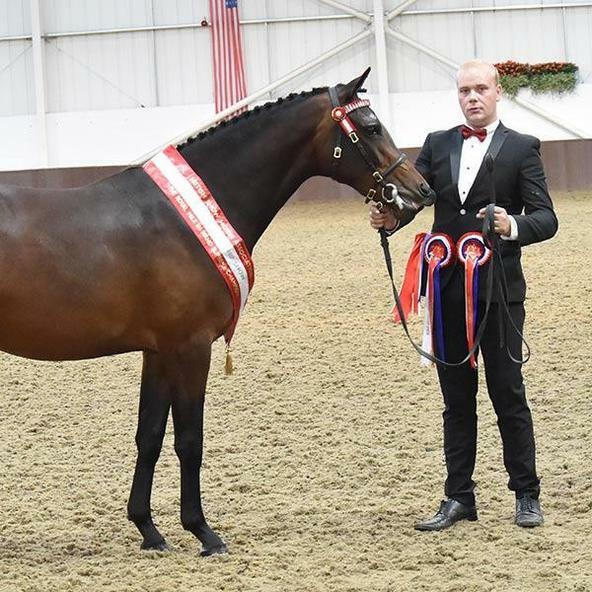 With a First Prize of £150 and an Evening Performance for the final nine Exhibitors, the SEIB Working Show Horse Championship will be a hotly contested final. With over 25 qualifying classes around the country and, with the two highest placed horses in the top five, not already qualified, eligible to compete, this should be one class worth watching. for generously sponsoring this Final in 2018. 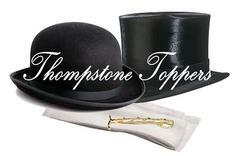 Stockist of Silk Top Hats, Bowlers and other Hunting requisites. Outlanda Apparel is the official supplier of BSHA branded merchandise; Jackets, Gilets, Hoodies, Headwear etc. SPILLERS Horse Feeds will be attending the Show with their weighbridge and will be available for advice on condition and feeding. Specialist in supplying top quality tweed riding jackets, Navy show jackets and accessories for the show ring. Royal Equestrian is a company specialising in quality products and clothing for the equestrian and country enthusiast. Please note that all stable bookings are direct with Addington Manor Equestrian Centre. 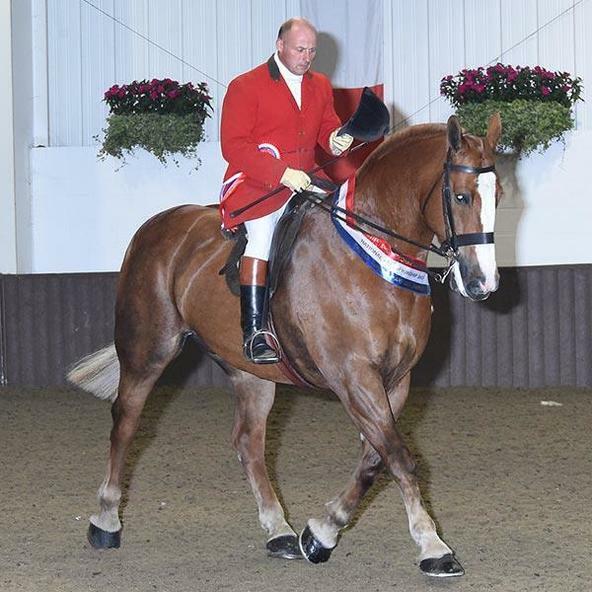 ENTRIES CLOSE FOR THE BSHA HUNTER CHAMPIONSHIP SHOW ON FRIDAY 10th AUGUST. Late entries taken at £15.00 extra per class.